Here’s the full list of HSK4 words (plus some!) with all the info you need: Chinese, Pinyin, English and 2 example sentences for each. This is great if you want to make your own flashcard deck (Anki) or just check them off through a spreadsheet. All sentences are originally created by Tutormandarin and are not licensed for any commercial use — but feel free to enjoy them personally. Our curriculums are all designed around HSK standards, so these are all the same words that make up our Intermediate 2 course. The course breaks them into 45 well-organized lessons based on interesting and practical themes. 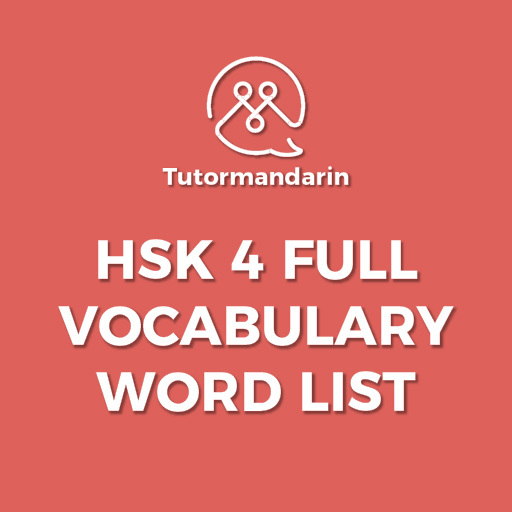 HSK 4 Full Word List Download here. 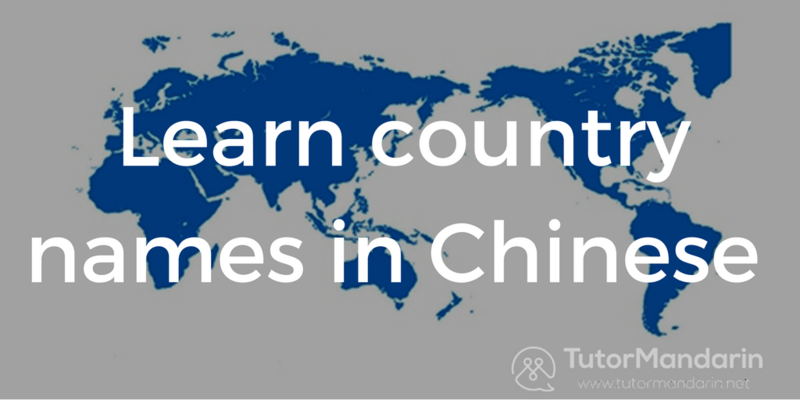 Learn Country Names in Chinese Tourists Must Know – Useful Chinese Sentences for Traveling HSK 2 Full Word List | Excel Sheet and PDF Download How to memorize Chinese pinyin tone marks | TutorMandarin How to test your Chinese level? This entry was posted in Chinese Language Learning, Chinese Survival Skills, Free Chinese Lessons and tagged hsk, HSk 4, intermediate, learn chinese, learn mandarin, vocab, word list. Bookmark the permalink. It’s an excel sheet so you can just copy and paste it. Also if you sign up it comes in a link. Also, give us your email and we can just send it toy ou. Will you upload HSK 5 Vocab list soon? Thanks for the question Laura. We have a few hundreds words with example sentences for HSK5 — but the full list is actually quite huge. Would you want a half list? Can email to you happily. Hello, how can I get HSK 5 vocab list with example sentences? Yes and no. We have a partial list for HSK 5 with many of the word and some example sentences — not full! Will send you a link to your email. Probably won’t post until its more complete. Thanks for the nice documents. I’m looking forward to your posts of the HSK 5 and 6 word lists. I’m definitely telling my surroundings about you. Thanks Vincent! Glad you enjoy. HSK5 and 6 will probably be a while though. Only have partial lists since there are so many words!! Why are the definitions and examples at the end missing? Could I also get the HSK IV vocab list in xl please? I tried copy/pasting in xl from pdf but it scrambled the fields. Coming your way. Or sign up and get a link. Please click ” HSK 4 Full Word List Download here.” It’s an excel sheet so you can just copy and paste it. Also if you sign up it comes in a link. Also, give us your email and we can just send it to you.